Don't get overcharged for your new kitchen. Email your kitchen design to us and see the 'HUGE' savings that can be made. Bespoke painted IN-FRAME kitchens available also. We can bespoke paint your new doors to any farrow and ball colour. 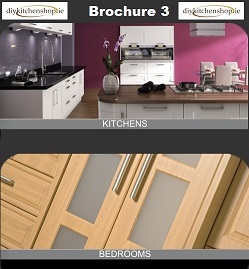 Download our Brochures. Hundreds of Doors . To Bookmark our site for convenience. Hit "Ctrl + D"
Visit our page to view pictures of many ranges available. Sample cost is refunded when the full order is delivered.